Our company history began in 1963, when after trying his luck with eggs and chicken, my father discovered turkey farming. Although the potential of these birds is readily apparent in this day and age, at that time investing in turkeys was a gamble, and like many other pioneers, my father was often ridiculed. 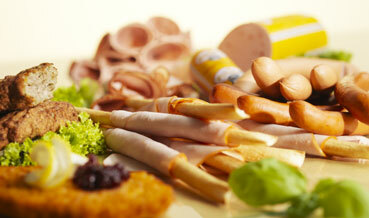 Nowadays, however, we are one of the largest suppliers of turkey products. Our company, Höhenrainer, is named after the tiny village of Höhenrain where we are based, because tradition is as important to us as innovation. Höhenrainer means excellent products, the highest possible quality standards and resolute customer focus: over the years, we have made the Höhenrainer brand into a symbol for qualitative excellence. To achieve this standard, we are meticulous in our work, and our employees are responsible for the high quality of our products. They process all our goods, so it is their commitment and care that ensures we have these high standards. Many of the products in our range are so established we simply could not imagine life without them. Our customers know that our products will always be tasty and low in fat. Basically, they are feel-good products: the customer knows where they come from, knows they are of high quality and knows they will always taste great. These are just a few of our qualities, but of course there are others, too. For example the fact that we are an established yet visionary company, or our rigorous customer focus and eco-awareness. Our relationship with suppliers, employees and customers alike are based on the tenets of trust, reliability and commitment, and this is what makes us successfull.